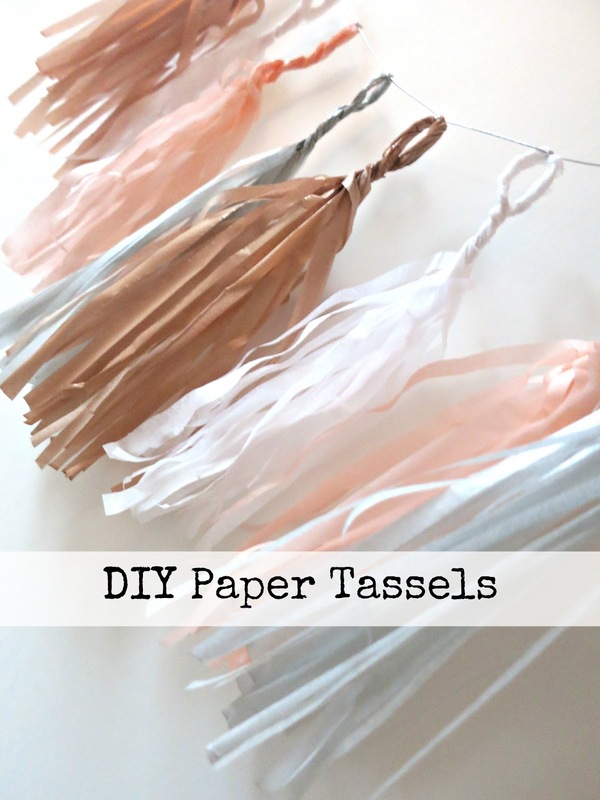 Whether you're planning a party, decorating a nursery or just spend a little too much time looking at pretty things on Pinterest, you've probably come across tissue paper tassel garlands during recent decor-inspo web-browsing sessions. 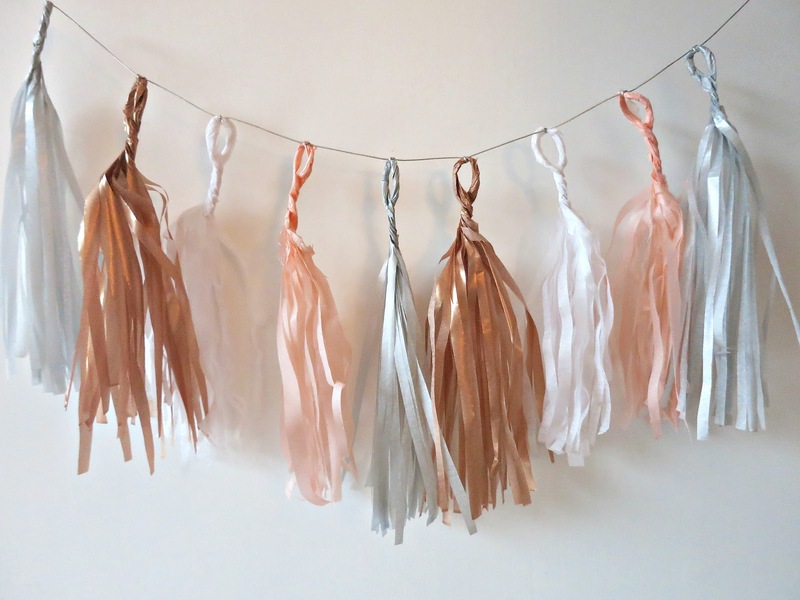 Want to jump on the tassel bandwagon? 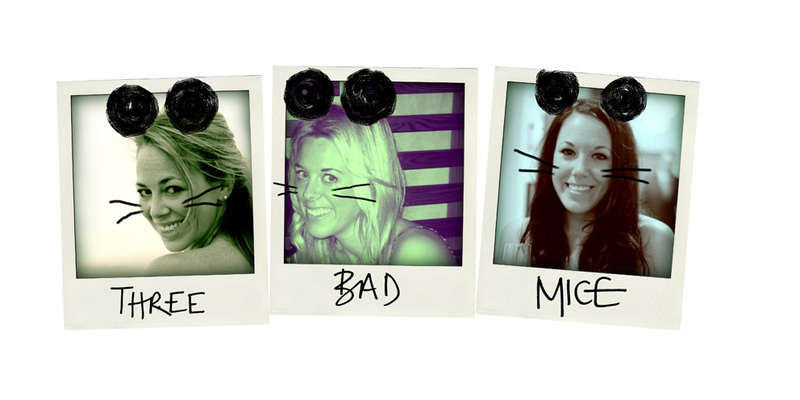 No probs, here are your options... 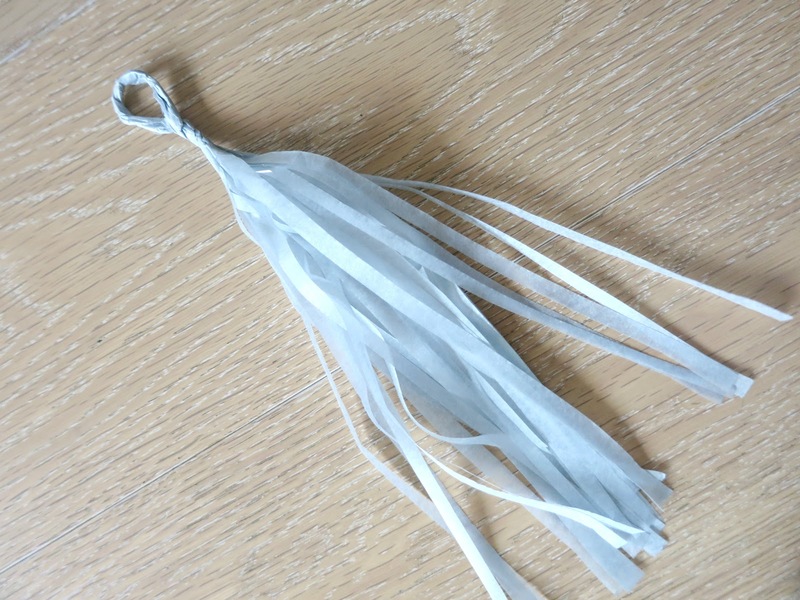 If you're severely creatively challenged, Etsy and notonthehighstreet have a good selection of ready-made tasselly goodness for around thirty quid a string. 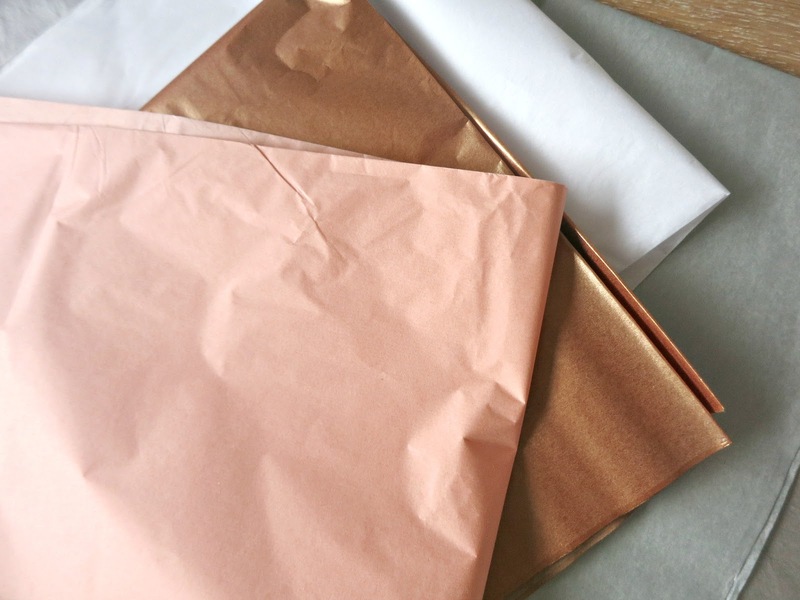 If you're willing to have a dabble at crafting your own, but don't want to go the whole hog, there are plenty of DIY kits out there which cost around half the price of the ready-made versions, are very easy to assemble and have the added bonus of making you feel worthy of a Blue Peter Badge. We like the selection available on the Flair Exchange. 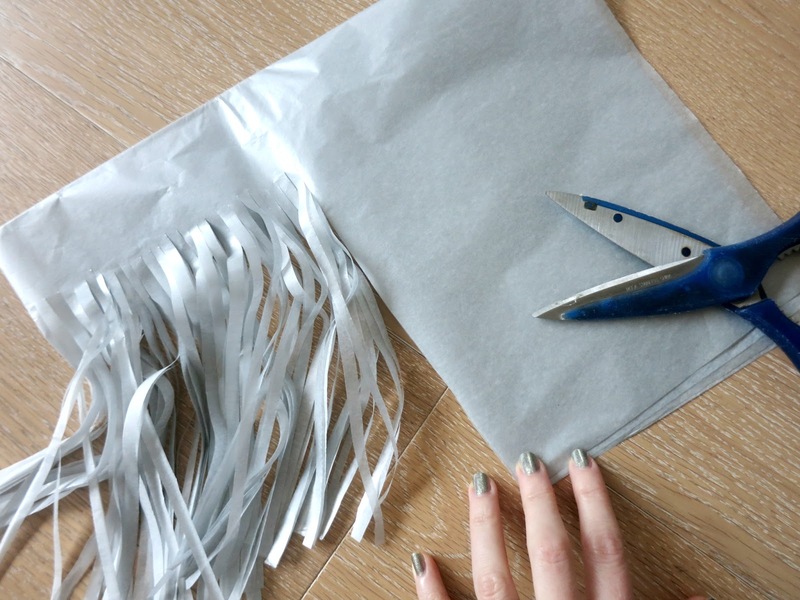 Alternatively, if you're practically a pro when it comes to crafts, knock a set up from scratch yourself. 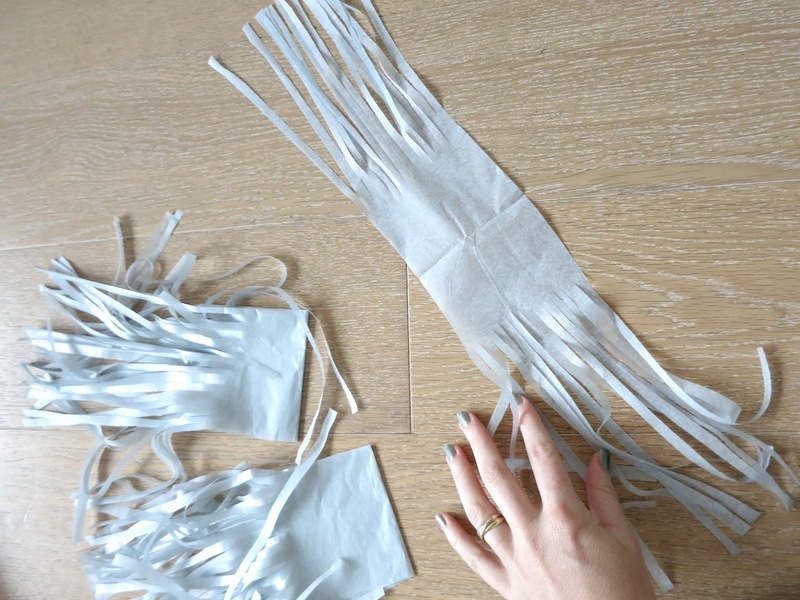 Your tassels will come in at a snip of the cost and although they may be a little time consuming, all the snipping and twisting is actually quite therapeutic! Start by choosing your tissue. This can be all the same colour, shades of the same colour, bright and clashtastic, or anything in between. 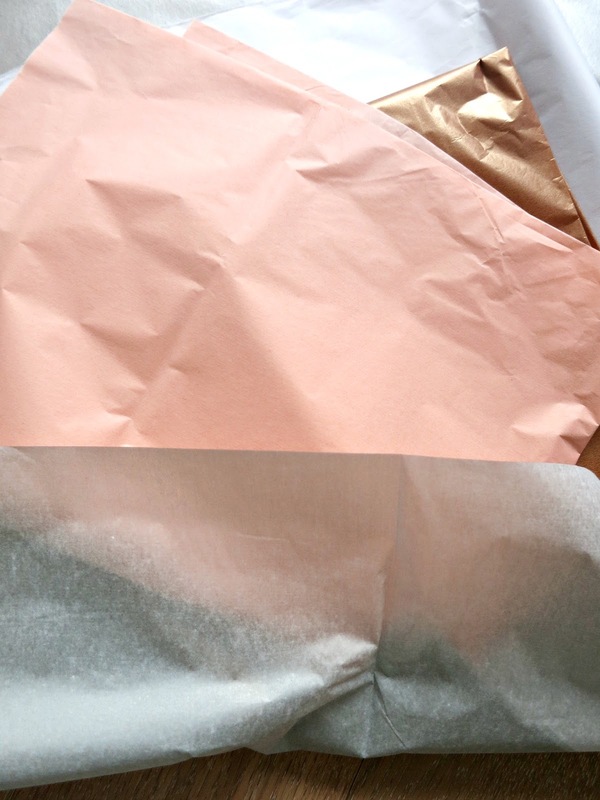 I went for a soft blush, a white and two metallic tissue papers - one bronze and one silver. 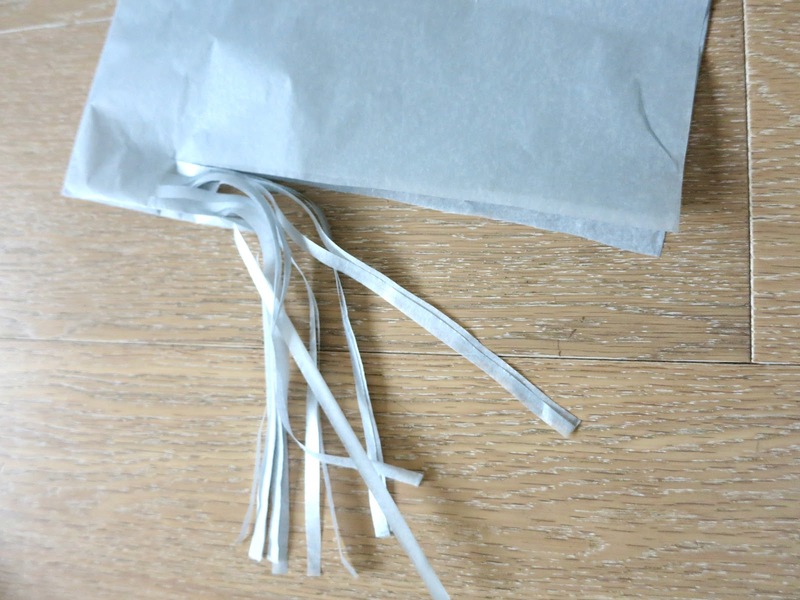 Take your first piece of tissue, flatten it out and fold it into quarters. 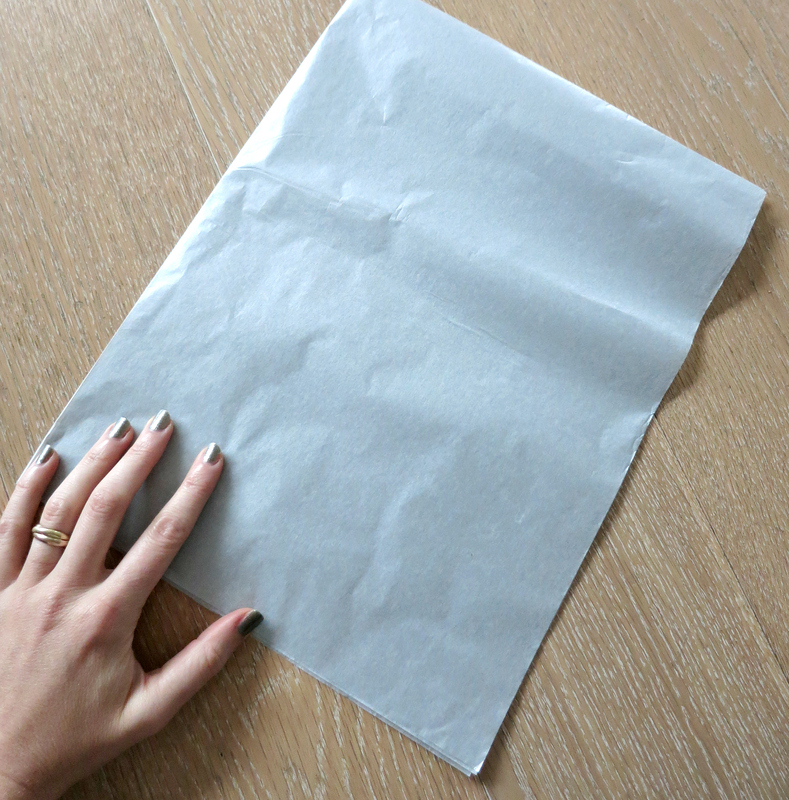 You should be left with a rectangular piece of tissue. 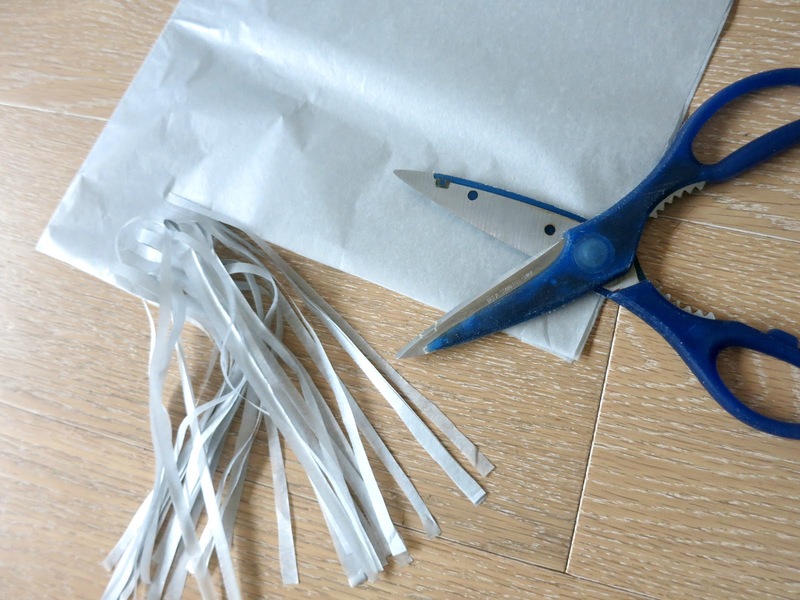 Holding this with the short folded side to the left and long folded side at the top, begin cutting a fringe from the bottom edge to about an inch from the folded top. 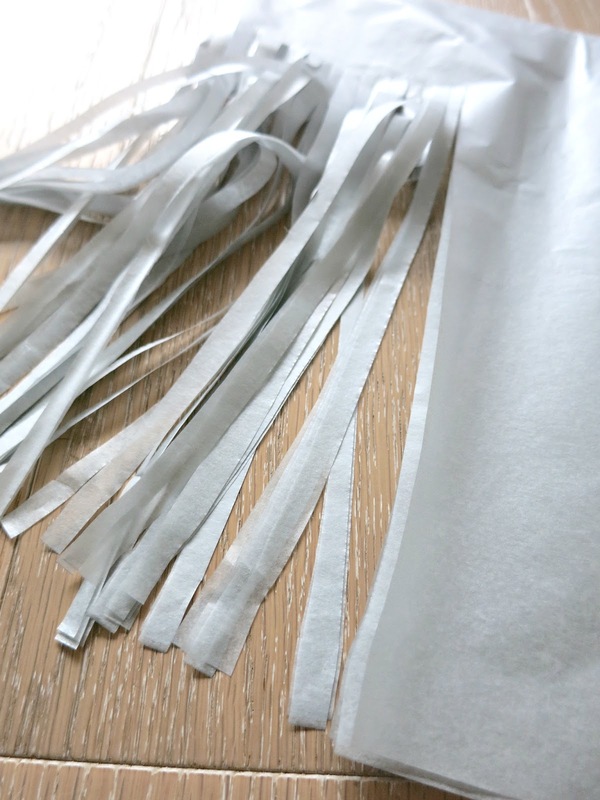 Cut your fringing as fine as you can. 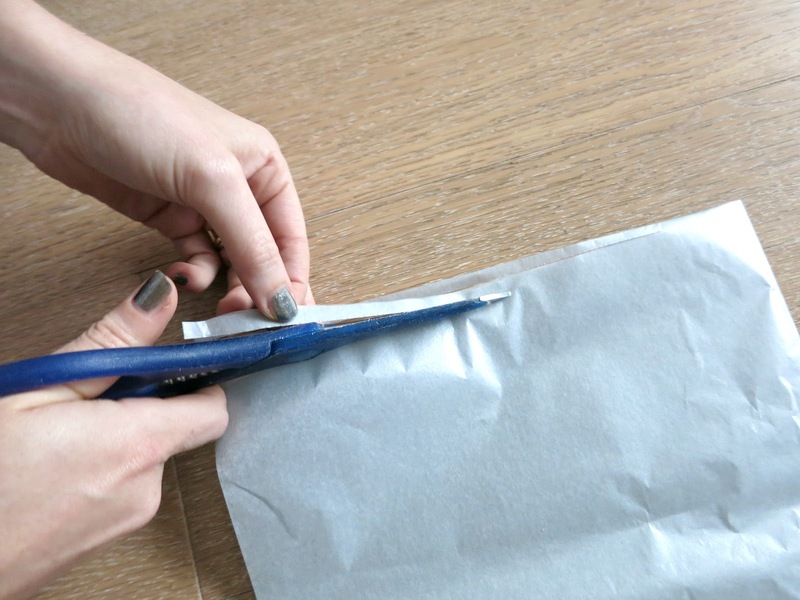 When you're done, snip the rectangle into three roughly equal thirds. 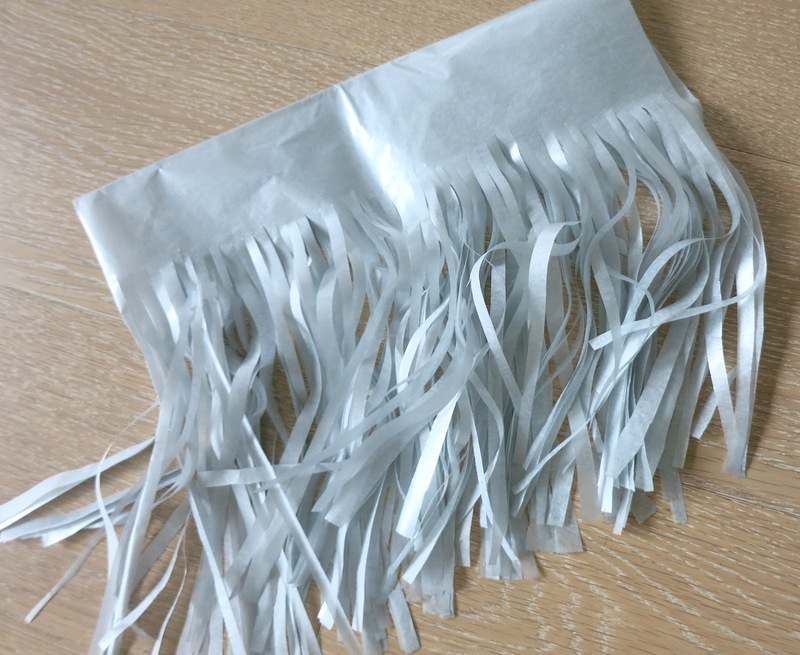 Carefully, separate and unfold the layers and snip down the join on the left hand side to produce six separate sections with fringing on each end. 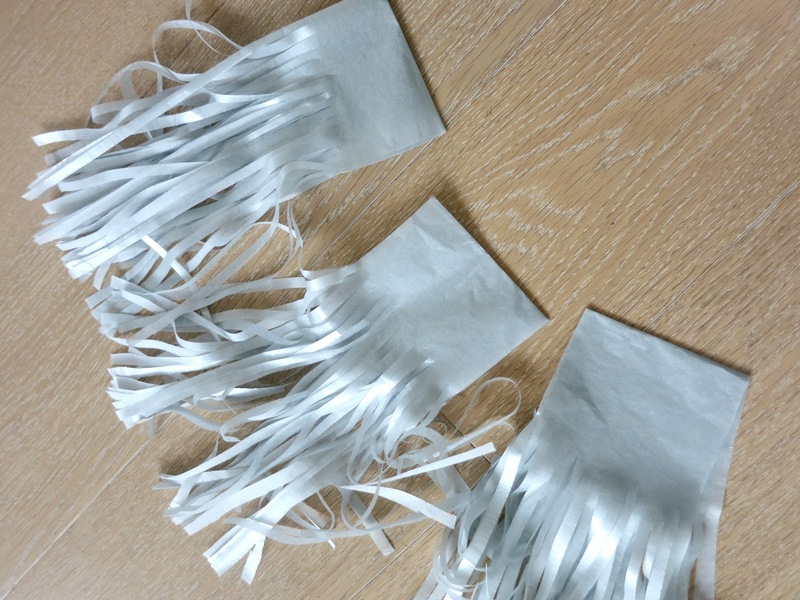 Now roll each fringed section as tightly as possible to produce a wand with fringing at each end. 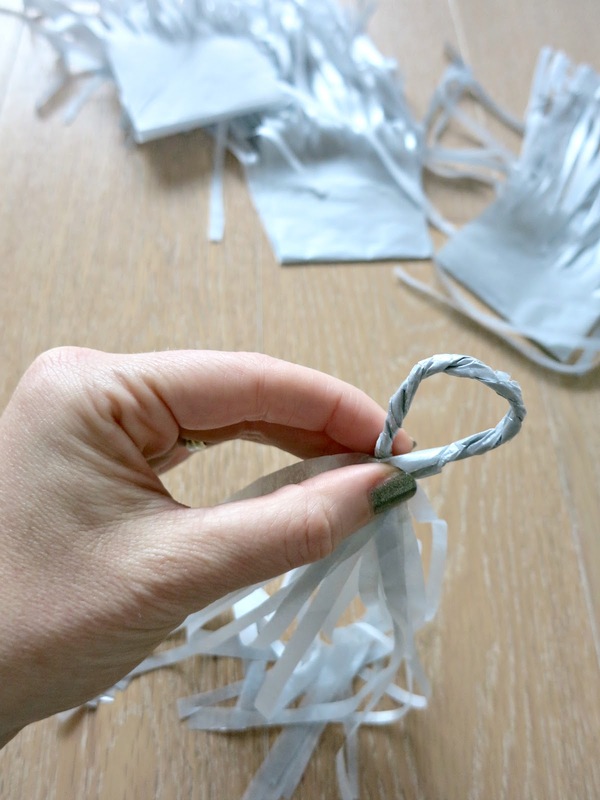 Twist the centre of the wand and then form a loop from the middle section and twist the bottoms of the loop together until they hold. 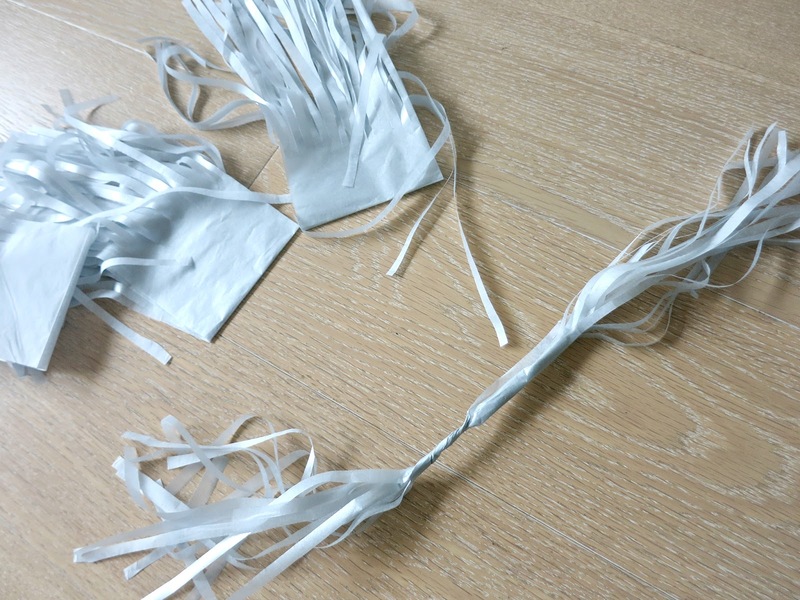 Repeat with each of your six tasselly sections and - ta da! 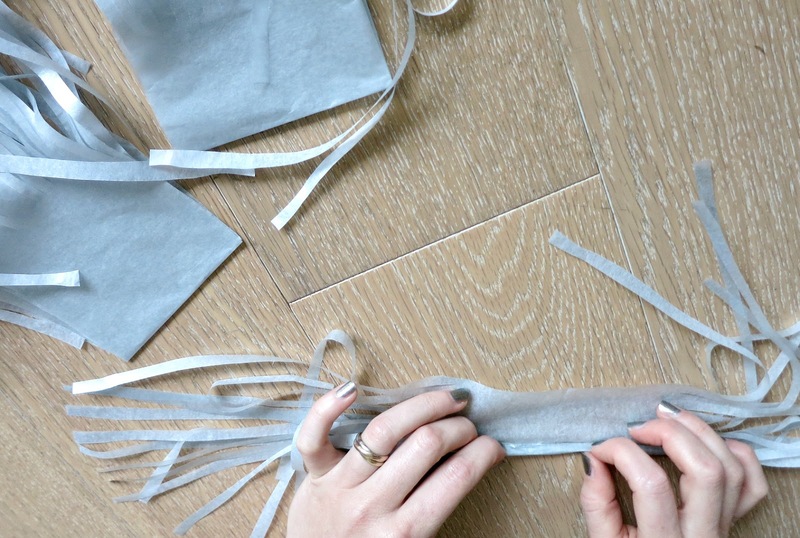 Tassels a go go! 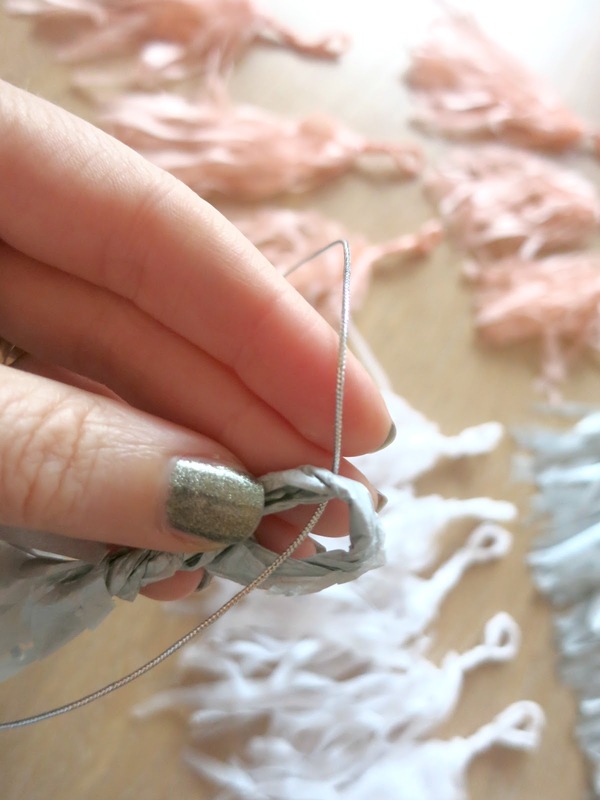 Now take your pretty string and thread it through the loop at the top of each tassel, knotting each one in place. 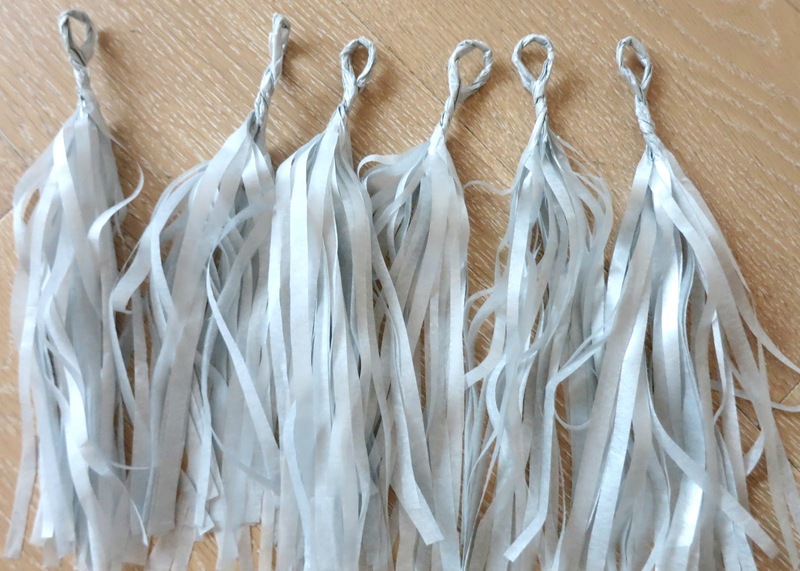 Once all the tassels are secured on the string, you're ready to hang your garland. Tassel-Tactic! 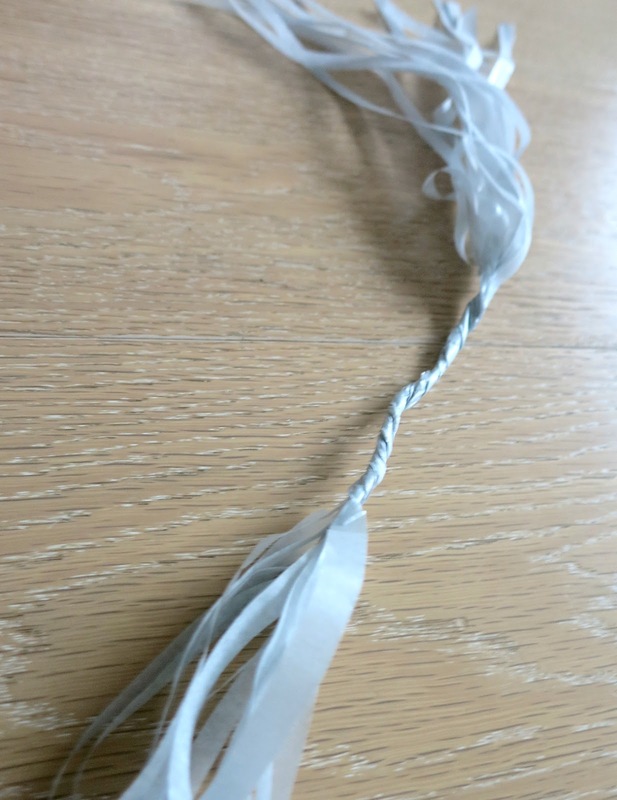 Thanks for the easy instructions on making the tassel garland, some people make it out to be way harder then it really is and im glad you mentioned a basic pair of scissors because I was considering purchasing a sophisticated one but I'm not going to. Just more money to spend on diy projects!